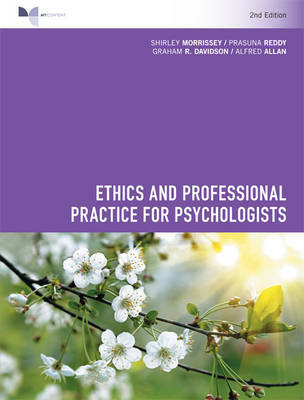 The 2nd edition of Ethics and Professional Practice for Psychologists has been totally revised to be consistent with the APS Code and Ethical Guidelines, and includes five new chapters to incorporate guidance on recent developments in the professional practice milieu. Ethics and Professional Practice for Psychologists integrates current ethics knowledge and research with practical recommendations to address the variety of ethical concerns in everyday professional practice. The book provides a framework for ethical decision-making and reviews ethical issues pertinent to professional practice, illustrated with practical examples relevant to the Australian context. The book is intended as an ethics textbook for fourth year and postgraduate psychology students and for provisionally registered psychologists completing the supervised practice pathway to registration. It is also a highly useful reference for all practising psychologists.